Kinema is on course to bid for a hat-trick of wins this season in the £100,000 Group Three Betfred Glorious Stakes, the opening contest on day four of the Qatar Goodwood Festival, Friday, July 29. The five-year-old is set to make his Pattern debut in the 12-furlong contest – won last year by Frankie Dettori on Dubday – after providing trainer Ralph Beckett with a first Royal Ascot success when taking the Duke Of Edinburgh Handicap over a mile and a half on June 17, in which he survived a stewards’ enquiry to beat Elite Army by a length and a quarter. He had previously gained a length victory in the 14-furlong Al Basti Equiworld Handicap at Goodwood’s May Festival on May 21. Beckett reported: “Kinema will probably run in the Glorious Stakes over a mile and a half next Friday. He came out of Royal Ascot in good shape and we are looking forward to running him. Goodwood officials are starting to carry out some watering of the track to keep the going close to good. 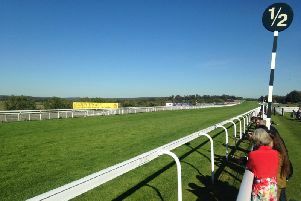 Seamus Buckley, Goodwood’s Clerk of the Course, said on Tuesday: “Having walked the course today with Mike Maher of TurfTrax, I am describing the ground as Good on the Straight Course and Good to Firm, Good in places on the Round Course. The overall GoingStick reading is 8.5, which is indicative of the going description. “We are currently going through a very dry period and we will selectively start watering part of the Round Course this evening to help keep the moisture in the ground. I would envisage to maintain the current going report for the start of the 2016 Qatar Goodwood Festival on Tuesday, July 26. “There is always the chance of some thundery showers about and we will monitor conditions on a day-to-day basis.